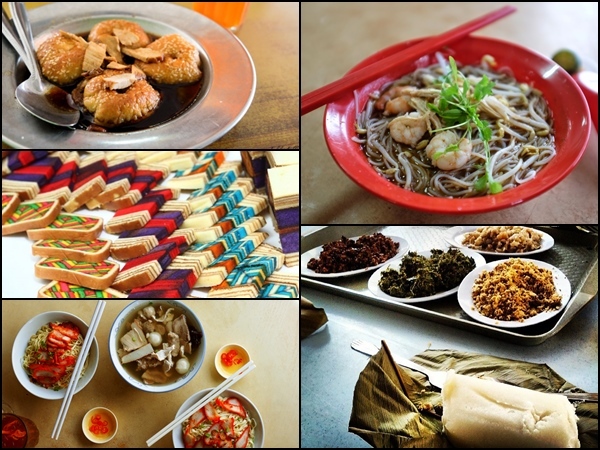 Now that you’ve spent your time getting familiar with the famous places to visit in Sarawak, it is time to also search for the best places with the best delicacies to offer. 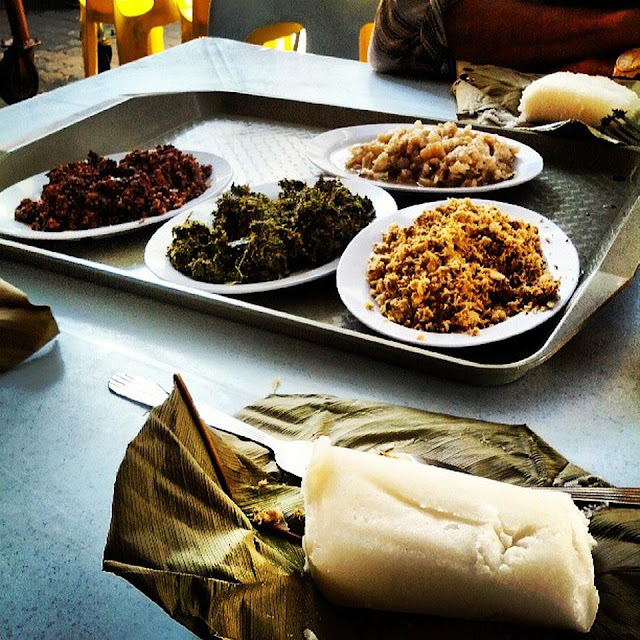 As The Land of the Hornbills is one vast state, there are definitely more to explore than just the five places listed below, though these five will be the best ones to start your food adventure with. Get a taste of local dishes such as the famous kolo mee and mee laksa, and round it up with a sweet treat so colourful, you will be tempted to try more than just one type of said dessert. 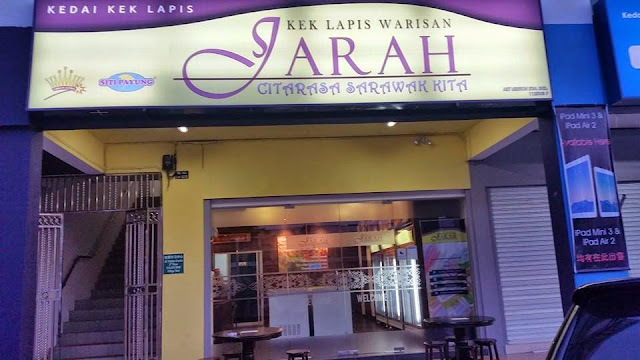 For most people, the moment they hear the word Sarawak, the image of laksa comes to mind. Rightfully so as the state’s iconic noodle dish is one of the most sought-after dishes in the state. 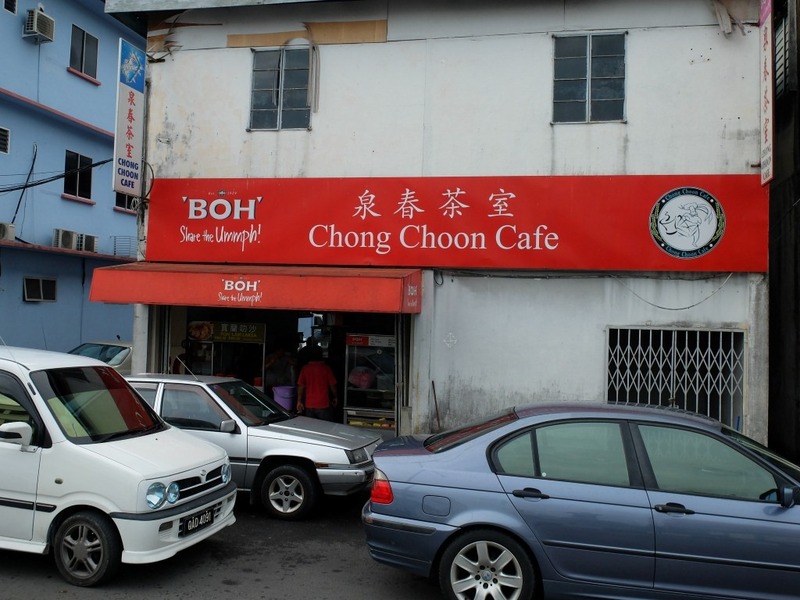 While some food enthusiasts are on the fence about the true superiority of this particular shop’s laksa compared to other lesser known shops’, there’s no denying Chong Choon Cafe’s laksa is one of the most famous in Kuching. 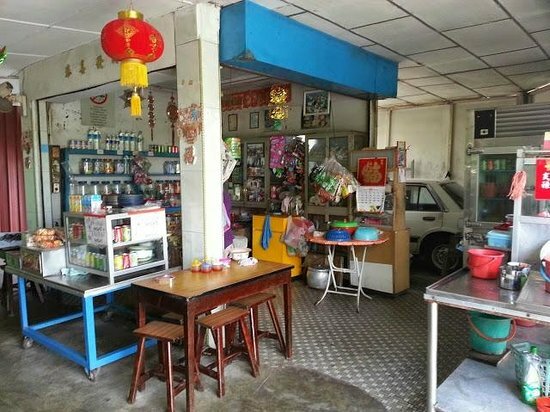 Apart from the spicy, sour soup noodle dish, this shop also offers other must-try Sarawak food such as the kolo mee and kueh chap (pork soup similar to bak kut teh). If not laksa, then it’s kolo mee that pops to mind when the word Sarawak is uttered. The flash-boiled noodle dish is often served with minced pork and slices of char siew on top. 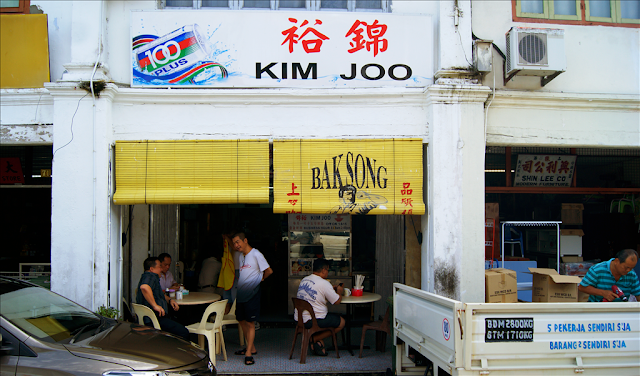 While it can be found easily across Kuching (or the whole state, really), Kim Joo is the most famous restaurant for it. 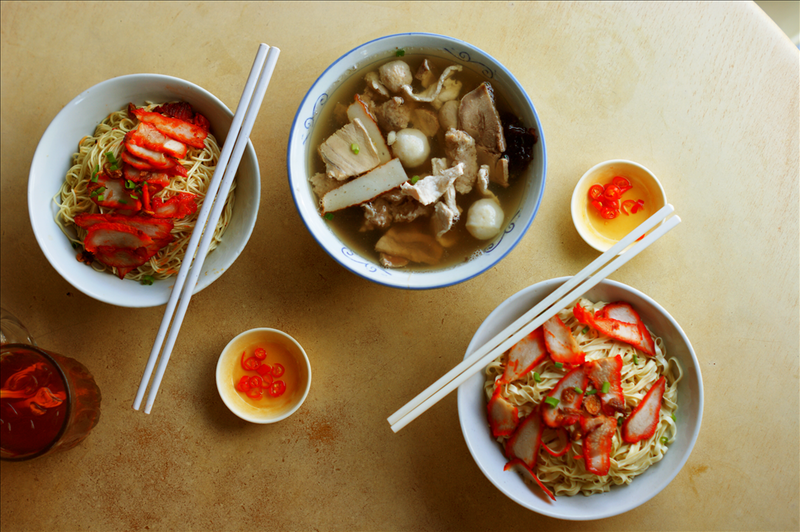 As pictured above, at this shop it is also served with cheng (mixed pork soup served alongside a bowl of noodles). While these dishes are obviously non-Halal, fret not, there are also Halal versions of them. The most famous will be Teresa’s Laksa (located behind Tune Hotel Kuching), which serves the best tasting Halal kolo mee and Sarawak laksa. If you happen to be in Sibu instead of state capital Kuching, the must-try food here is the traditional kompia at Tiong Hua Road. Also known as the Sibu bagel, this bun comes in both the soft and hard varieties with meat (chicken or pork) and coconut jam a.k.a. kaya filling. 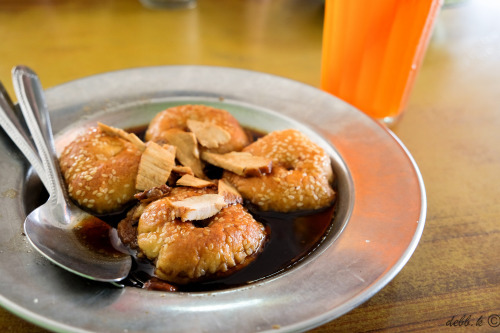 The famous Tiong Hua Road kompia is the soft version and served soaked in meat gravy. 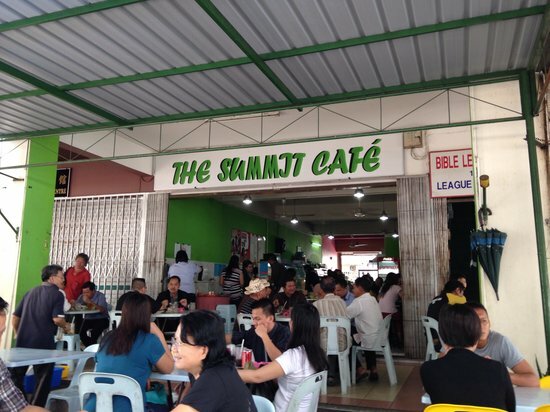 It is best consumed with the stall’s signature sour plum and lime drink called somboi limau. If you want to try kompia with a modern twist, visit Fatt Bakery (near the Sibu Central Market) for a taste of the cheese and buttermilk versions of the tasty bun. Also known as ‘jungle cuisine’, this eatery serves food eaten by the Kelabit (one of the native tribes in Sarawak) people. The Summit Café will be the perfect spot for those who want to try something completely different from their usual lunch choices. Made from simple ingredients, some of the local dishes served here are the dure (fried jungle leaf), nuba laya (rice wrapped in itip or banana leave), young banana flowers cooked in coconut milk, luang senai (stir-fried fish floss), labo senutuk (pounded wild boar meat) and fried pounded tapioca. If these sound too extreme, don’t worry, try the nasi lemak instead which is also praised for being one of the best tasting in the province. After all the scrumptious meal you’ve had, it is time for dessert. Though this can be found in almost all of Sarawak, Kek Lapis Warisan Jarah is one of the more famous shops in Bintulu for the colourful layered cake. 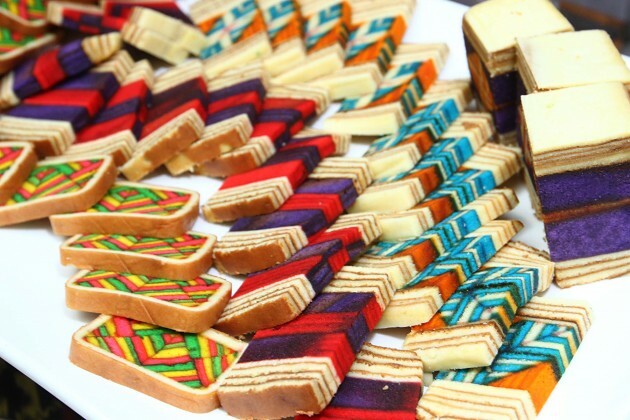 What makes Sarawak layered cake or kek lapis really unique is the multitude of designs and flavours it comes in. It can be considered the state’s most iconic sweet treat. 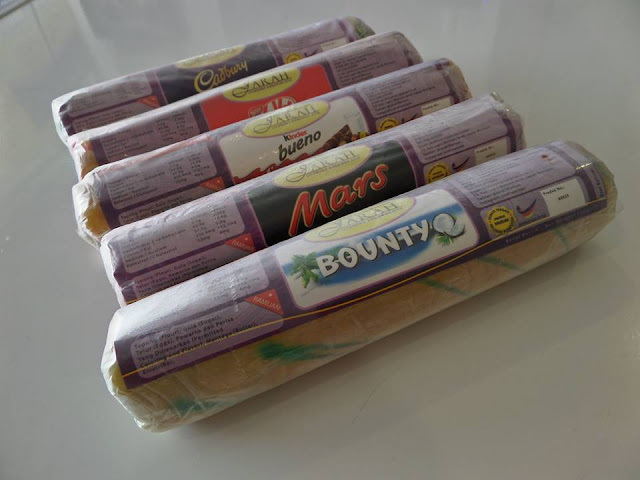 Apart from using usual flavours such as vanilla, strawberry and pandan, this shop also offers special flavours made with chocolates such as Toblerone, Cadbury, Mars, Bounty, Snickers, Kinder Bueno and Kit Kat.